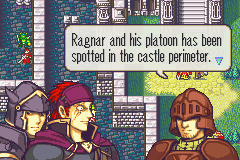 A new hack on FE7. A young soldier named Ragnar, who is a simple knight under oath to Azalia (country), is aiming to make a difference. Silvatica, a country that recently had a changed of heart, began its invasion against neighboring countries. In their invasion, they've not only captured many people to be used as soldiers or slaves, but also have destroyed entire cities and towns. Upon their attempt of taking over Azalia, they failed and suffered defeat for the first time. Due to rage, Azalia declared war. However, things didn't go accordingly and now Azalia suffers in the palms of Silvatica as well as the others. But, only one knight has the will to stop them. Can he really make a difference? The patch will include 15 chapters: Prologue to Chapter 13 with one Gaiden chapter (Two stories). Blazer, Arch and too many more. Thanks Fuzz for this great suggestion! log into the chatbox, no one is online really right now but, you never no when someone pops in. Oh hey, it's NYZ. I remember watching the prologue video a while back and liking what I saw so I'm glad a patch is on the horizon. 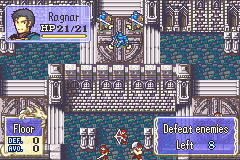 Query: Why does it seem like everyone always hacks FE7? Why not FE6 or FE8? Well, you do seem to possess numerous talents (though I won't be able to check the YouTube link for a while) based off the credits. Glad to have you. 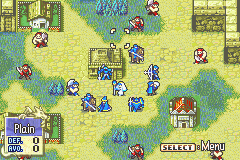 There's a lot of information on how to hack FE7 so thats why everyone does it. Also I heard that its more difficult to hack into FE6 and FE8. 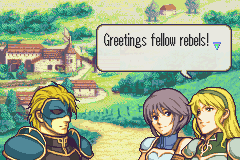 FE6 i think just has some beta like features in it (i.e. 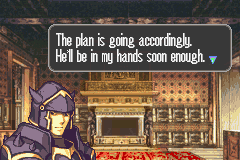 they were still working on the GBA FE stuff back then, which was fixed up by FE7) and FE8 hacking is undocumented still as most of the high leveled event hackers are just now turning to FE8. 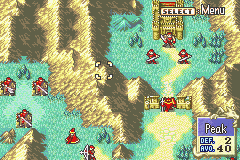 I wanted to hack into FE8 because in general, i loved how its program and colors and stuff like that but didn't know too much hacking at the time I started. Maybe later if I have the time, I'll hack into FE8. Yeah, thats what I started to do now. Now I just have to import tilesets from FE8 as well lol. 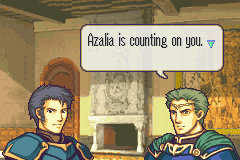 Next release will be in FE8 colors? You should release a few patches right after this one fixing all of the bugs and maybe with the colors, and then have nothing out until another 10 chapters or so. No this release has the FE8 colors in the mugs already lol. Just the new tilesets will be in the next release. Yeah, I was planning something like that, after 10 more chapters a new patch then a final one when I get all the chapters done. Haha klok wait two more days the public patch will be out. I promise! Ladies and Gentlemen. I am happy to announce that Death or Glory patch is out! I will post the link in the OP. I hope you guys enjoy and any problems, feel free to ask any questions! Looks pretty boss, are there any custom animations? I'm all about custom animations. Yes there is, there's a dragoon animation in it and there's going to be another one but that will be in the next story. As Mage knight as pointed out. I have to update the new patch for chapter 10 to work properly. There also has been changes as well to it. All the level 0s have been put back to level 1. Starting from Chapter 7 and chapter 8, the enemies level are level 2. Chapter 9's enemies are level 3. There are less short bow users, only two max. per chapter. Every others had been replaced with either iron bow or steel. 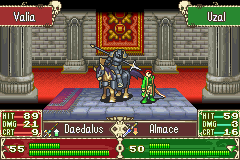 Myrmidons in chapter 7 have steel swords except the two on top. Ragnar's con has been raised by 2 more. Mil's magic growth has been raised by 15%. Please check the OP for the new patch. I will delete the old one and post up the new one. Thanks! Sorry for the inconvenience! Changes to the Death or Glory hack. Anyways, new maps, new weapon icons, added new events, changed the text around to give it a little more detail, two new animations, new music and more. I will try to release a new patch so you guys can try it soon. There is a new chapter 8 map as well. I just couldn't get the time to put it in the video. Credits in the OP for animations and songs. Man this game is so freaking fun dude, give yourself a pat on the back. I have not played a hack of this high quality in many years. Elibian Nights and DoF and even Sacred Dawn XD don't even have the kind of engaging storyline this game has, it's extremely impressive. I've noticed areas that need improvement but that will wait until I start doing LP's. I want this game to be one of my first LP's, for sure. Thank you so much Adolf! That means a lot to me!